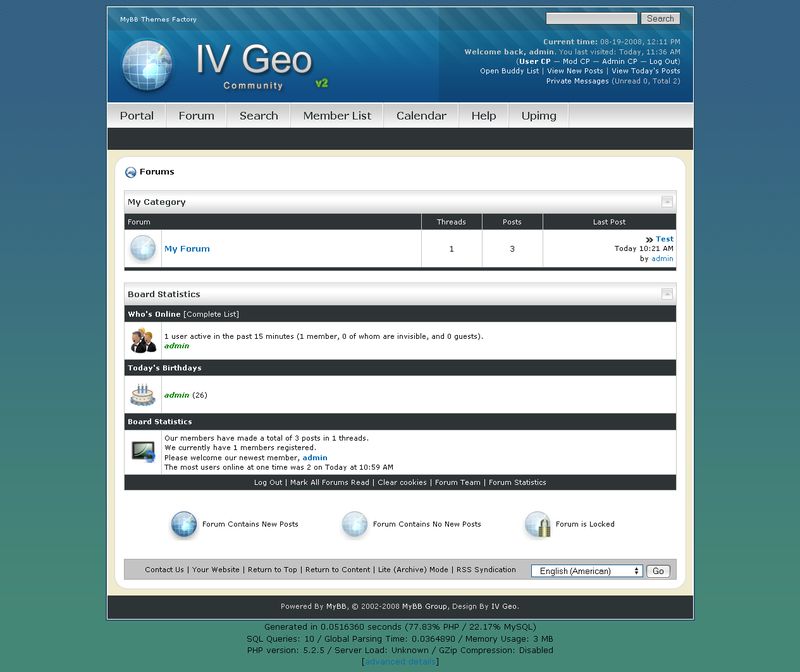 The Ivgeo_v2 Theme for myBB 1.4 is a custom theme created for ivGeo. Visually very appealing and bright theme. This entry was posted in MyBB, Slides and Work and tagged blue, ivgeo and light. Bookmark the permalink. Both comments and trackbacks are closed..